Have you ever dreamt of exploring the deep sea and getting up close to its fascinating, weird creatures? Or maybe you’ve dreamt of boarding a spacecraft to experience the beauty of our planet from above? The desire to leave the beaten tracks and explore unfamiliar terrain is human nature. 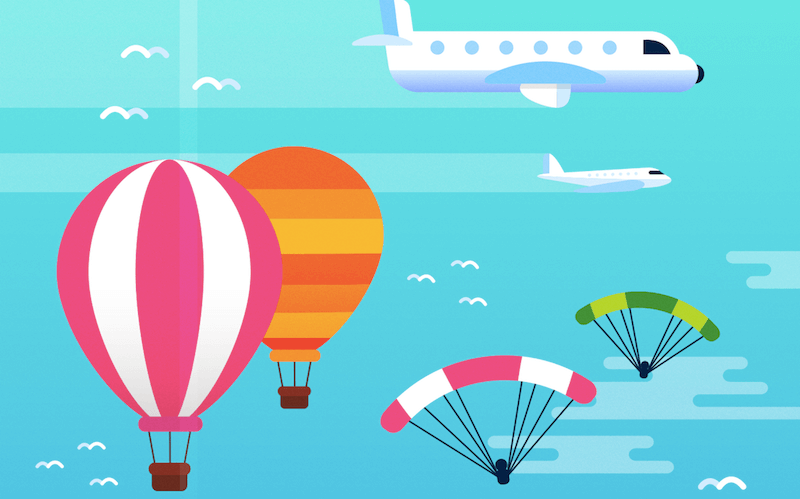 To celebrate mankind’s urge to explore, the creative folks at Vexels created a set of 30 adventurous icons that take you on a journey from the ground of the sea right up to outer space. The set offers all the building blocks you’ll need to create your own little universe and become an explorer yourself. To celebrate mankind’s urge to explore, the creative folks at Vexels created a set of 30 adventurous icons that take you on a journey from the ground of the sea right up to outer space. 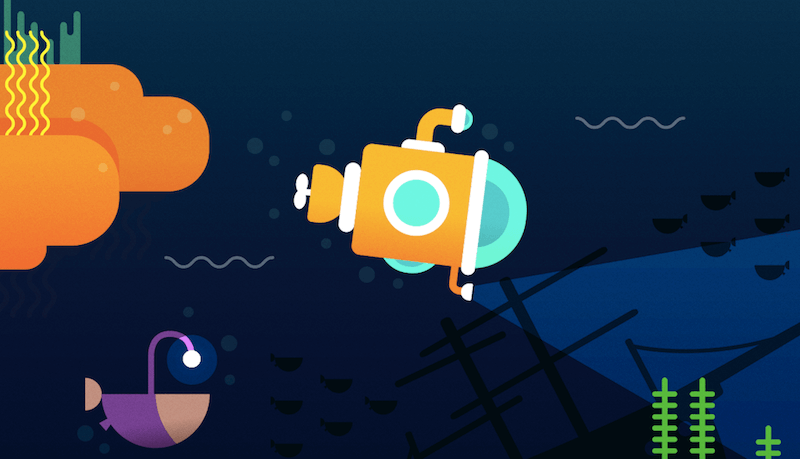 The set offers all the building blocks you’ll need to create your own little universe and become an explorer yourself: Cute jellyfish, strange deep-sea fellows, a submarine, trees, a helicopter, hot air balloons, satellites, planets, meteors, and much more. Nature and technology beautifully united — I’m sure you’ll agree. Please note that the set is released under a Creative Commons Attribution 3.0 Unported. This means that you may modify the size, color and shape of the icons (more details in the readme.txt file). Attribution is required, so if you would like to spread the word in blog posts or anywhere else, please do remember to credit the designers and provide a link to this article. "Nature is always inspiring. 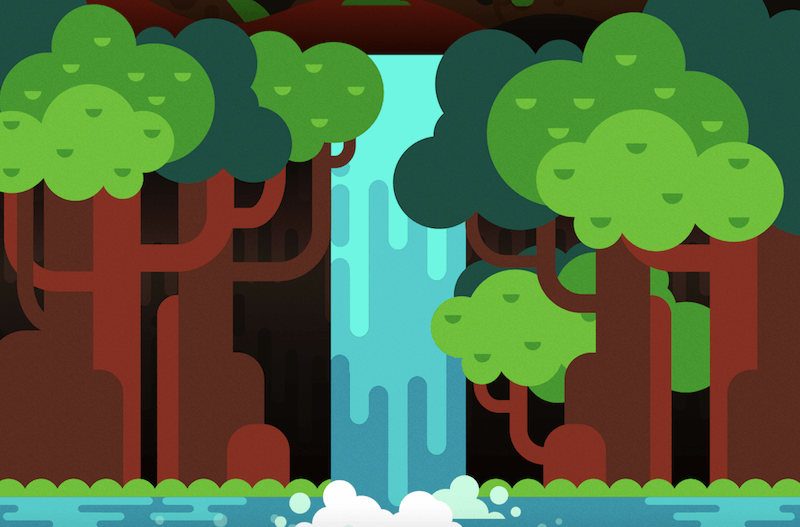 Whether it’s space, with its stars and Sun, or our home planet with its waterfalls and mountains, our design team is always motivated by what surrounds us. And that includes technology. From planes to submarines, we can explore our world with their help. 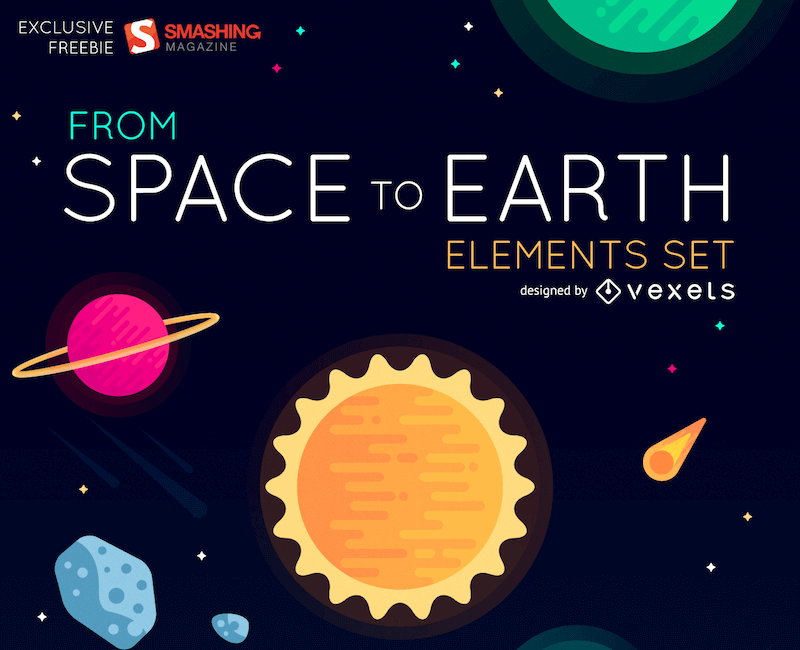 We wanted to create a freebie that showed it so we made this elements set, called From Space to Earth. It contains elements and icons with everything from rockets and asteroids to planes, fishes and even some dinosaur bones. We hope you get inspired to create some art of your own. Grab everything you need from this freebie and start creating!" Thanks to Cosima Mielke for helping to prepare this article.